The Aurora Sentinel is obviously shaken by the news former Congressman Mike Coffman is running for mayor there. Not surprising, since the left-leaning rag adamantly opposed the Republican’s reelection bid last year. What had us spewing coffee all over the computer screen wasn’t the newspaper’s 400-plus-word article on the announcement. 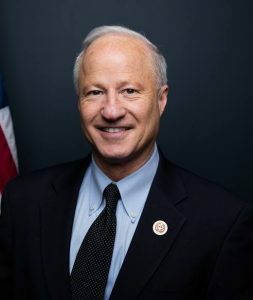 It was all of the details they included about Coffman’s campaign plans to focus on affordable housing, transportation, public safety, diversity, taxes, growth and development. It’s so far unclear what Coffman would focus on during his campaign. Looks like a certain copy editor might be headed to reeducation camp, where the Pravda overlords will teach them how to dismiss pesky facts, and get straight to the propaganda. Ha! Who are we kidding? All of their copy editors were probably laid off years ago.